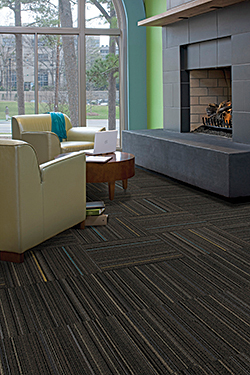 Sew Straight and Primary Stitch offer patterns in 12 neutral tones suited for commercial installations. They contain 46 to 49 percent post-industrial recycled content. The tufted textured loop construction is solution dyed and uses Type 6,6 nylon fiber.